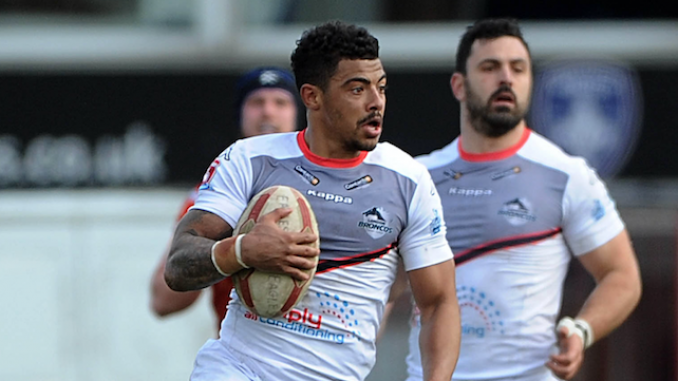 London Broncos have handed new deals to Kieran Dixon and Eddie Battye. Dixon, 26, recently celebrated his 100th game for the Broncos and has signed a new two-year deal, while former Sheffield forward Battye has extended for another 12 months. Coach Danny Ward said: “We are really pleased that Eddie has signed a contract extension for the 2019 season. He has worked hard on improving his game and been one of our standout forwards of the campaign so far. He’s a good bloke and a popular member of the squad. “Dicko is a London lad, a product of our Academy and it is great to see him commit to the Broncos for two more years. He has been in good form this year and come up with some big plays for the team. He’s always full of energy and great to have around the place. Dixon has rebuilt his career with the Broncos after suffering a serious injury while on England Knights duty back in 2013. He spent two seasons with Hull KR, scoring 28 tries in 39 appearances, before returning to London ahead of the 2017 season. Prop Battye, 27, is currently in his third season with the Broncos and has previously played for Villeneuve Leopards.